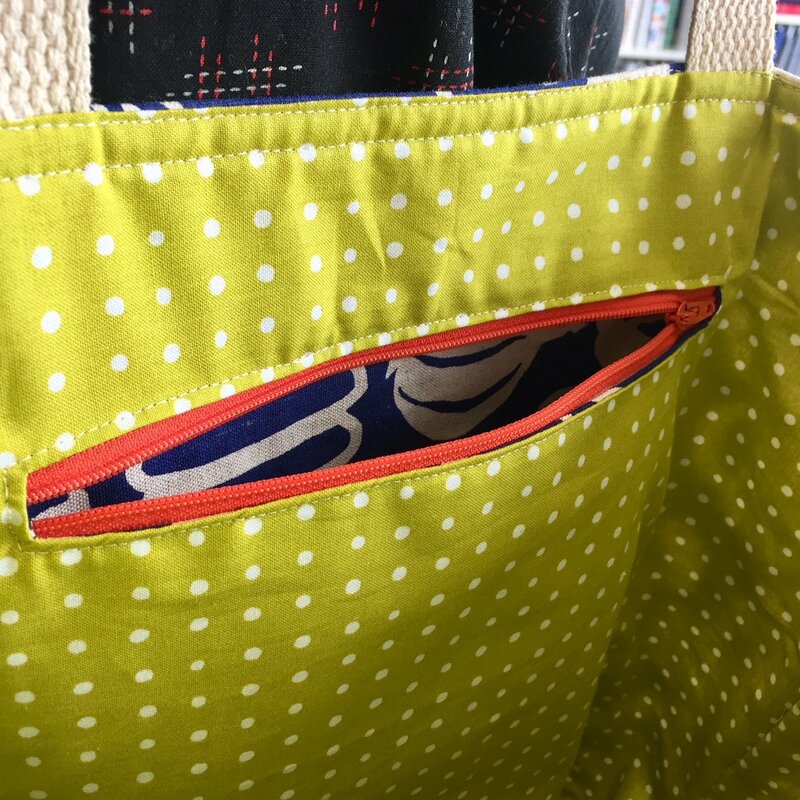 Take your tote bag to the next level by adding a zipper pocket into the lining. Bring a basic sewing kit including: scissors and/or rotary cutter with quilt ruler, marking tool or chalk, seam ripper and straight pins. Requirements: Must have taken Tote Bag 101.